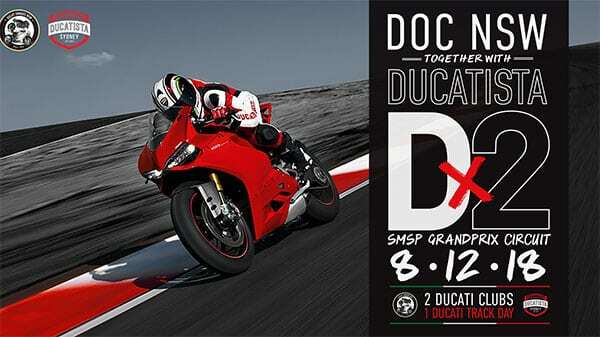 For the first time ever, DOC NSW & Ducatista have joined forces for a track day on the SMSP Grand Prix Circuit. There are sessions to suit all levels of skill so if you’ve ever wanted to (legally) test you & your machine, book yourself a spot now. Hurry, tickets are going fast!